Manchester City face AS Monaco this evening as they bid to reach the Champions League quarter-finals. Pep Guardiola’s side lead 5-3 on aggregate heading into tonight’s game. City have continually fallen short in the Champions League in recent seasons, but Guardiola’s experience in the competition is a game-changer. Tonight will not be easy by any stretch of the imagination, however, Monaco lead the way in Ligue 1 and sit three points clear of champions PSG. The French outfit have scored an incredible 123 goals in all competitions so far this term, and City’s back line are in for a major test. 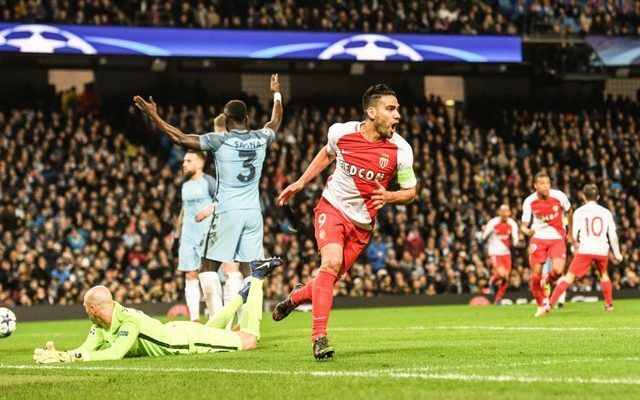 Last time out, Monaco bagged three goals at the Etihad, they only need two tonight to progress to the next round. Former Chelsea and Manchester United striker Radamel Falcao, who has found the back of the net 24 times so far this campaign, misses out through injury.